Marshmallows and Buggys and Wild Ideas! First week down and one of my goals for this year is to blog at least once a week, so here I go! 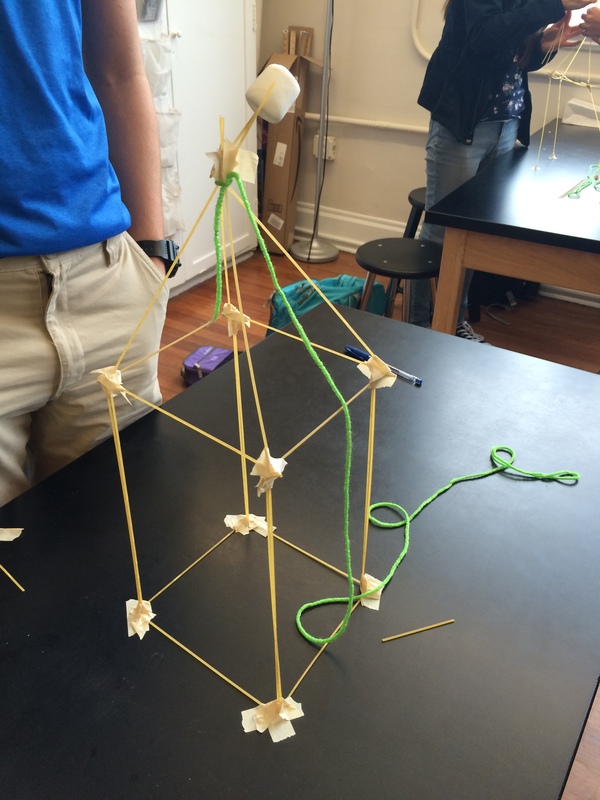 In physics, we did marshmallow towers and then Buggy Lab. 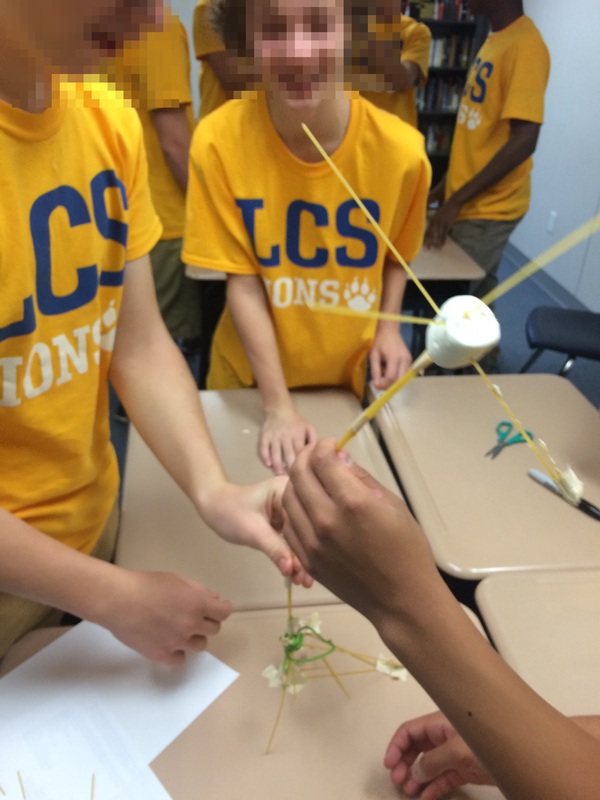 I loved the way we did marshmallow towers this year because we did them twice. The first time was at the freshmen orientation, so it was a great activity to do with the new kiddos, meet a bunch of them and have some fun. Most towers failed. Pixel face here looks like he’s enjoying it nonetheless. 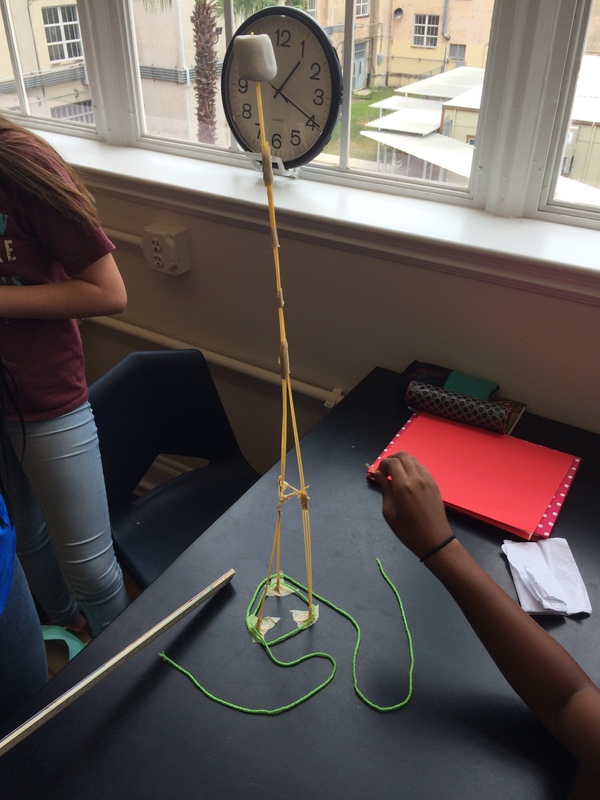 Almost every group had a successful tower the second time around. What a powerful visual to promote a growth mindset! A bunch of failed towers one day, a bunch of awesome sturdy structures the next! BAM! Ok, so that’s it for marshmallows and buggys, what about the Wild Ideas I promised?! Well, in my Intro to Engineering and Design class (awesome right?! ), we did a challenge where they had to get a HotWheels car to travel between two tables on a fishing line. One of the materials they had to accomplish this task was a balloon. So one group had the idea to put their car inside the balloon and then blow it up and tape a paper clip to it to attach to the line. It totally worked! Sorry no pictures, but take my word for it, it was awesome! Actually, first a quick word about my schemes for next year. I plan to run my class like a game, so there’ll be quests, XP, leveling up, no grades, and other stuff I haven’t figured out yet. And I think I’ve got my theme. Wait for it… “Hitchhiker’s Guide to Algebra” (not sure about the name, but you get the idea). Total credit for this idea goes to Jessica Anderson (@triscicurious). Check out her blog, especially if you’re thinking about gamifying too, since she’s already doing it. With that in mind, I am trying to write tasks around that theme so that I’ll have some ready to go for next year. The more I get done before the year starts, the more self paced and non-linear my class game can be. So I tried to make this task fit with a Hitchhiker’s Guide theme. Hence the “Intergalactic Lower Appendage Ball League”. Get it? Inspiration credit for this idea goes to Scott Hills (@Planting_ideas). Thanks Scott! As they wrap up measuring and recording, I’ll put the Desmos graph (woot images!) shown below up on the smart board and ask everyone to come up and enter their results. Go ahead, click it and put in your results and see what you think, I’ll wait! If they haven’t already, they should notice (once we’ve got enough up on the board) that the points are forming a parabola. BAM!! Quadratic Modeled!! Well, almost. Each kid will then complete a summary report of their findings where they’ll have to write a function and think about key parts of the graph. Then they’ll share their thoughts with their group, and then each group will make a whiteboard to display for the class. If we have time, I’ll have them blog the results at our class blog. What do you think? Got any ideas for improvements? Have you done something similar before, any tips? So after discussing the various forms of energy and then giving the students some time to play with Phet’s energy skate park (with some guiding questions), we jumped right in to a lab. The groups were each given an inclined plane and a cart. We discussed what we could measure, and decided on height of the cart as the independent variable and velocity as the dependent variable. The velocity should increase as the height increased right? Let’s see! Problem: Why are we interested in this relationship? They didn’t have a clue, so the lab was a total disaster. Some groups had issues collecting good data (that’s another problem for another blog post) and the rest had no idea why they had collected good data. I think the reason is because they didn’t start the lab with a good question in mind. 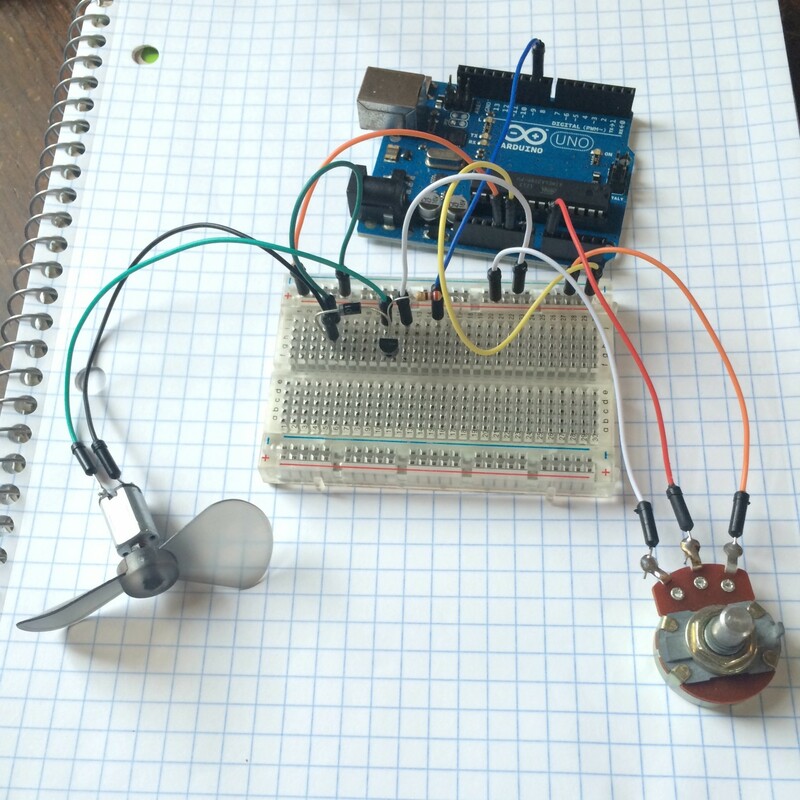 What is the velocity vs height graph supposed to tell us about energy anyways? As I told my students today, it’s just not good science to run an experiment with no purpose in mind. So where should we start then? As always, the blogosphere has the answer. I found this post by Kelly O’Shea. Starting with pie charts? Sounds good to me. Maybe that will help us gain a better understanding of energy transfers and then we can head back to the lab. They asked those questions right away with exactly zero prompting from me. All I did was write them down. Then, it was super simple for them to see that right there on the board staring them in the face were the exact questions we were attempting to answer with our inclined plane set ups. Now we have a purpose for our experiment!! We are trying to answer the question, “In what proportion are the gravitational and kinetic energies of the ball when it’s about halfway down?” (or perhaps anywhere on the way down? :). Sorry, purple expo marker! You will probably not last long in the hands of this group. But then I was lost as to how to get them to come up with the equation for the curve. They could get Logger Pro to tell them the equation, but that wouldn’t really help them. So, how can they come up with the equation when they’ve never seen one like this before? I decided to take a different approach. We started by examining the function y=x^2 and then examining different ways to shift the function around (using Desmos). 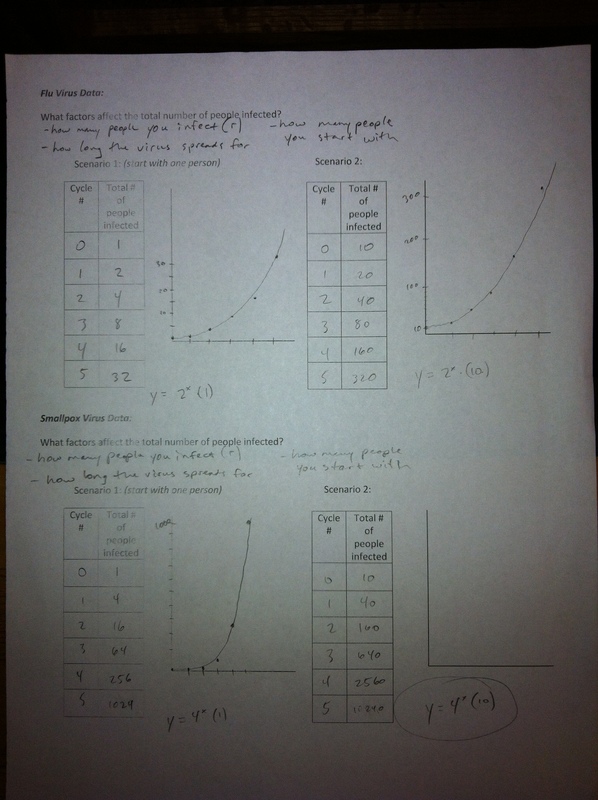 The handout I used had them graph different shifts (like shift y=x^2 up 3 units). Then I asked them to find the equation for that shift using Desmos. They had to figure out which piece of the equation to change. Then after doing the activity (and a bunch of practice with it, making whiteboards, etc) they knew how to build a quadratic function from scratch. 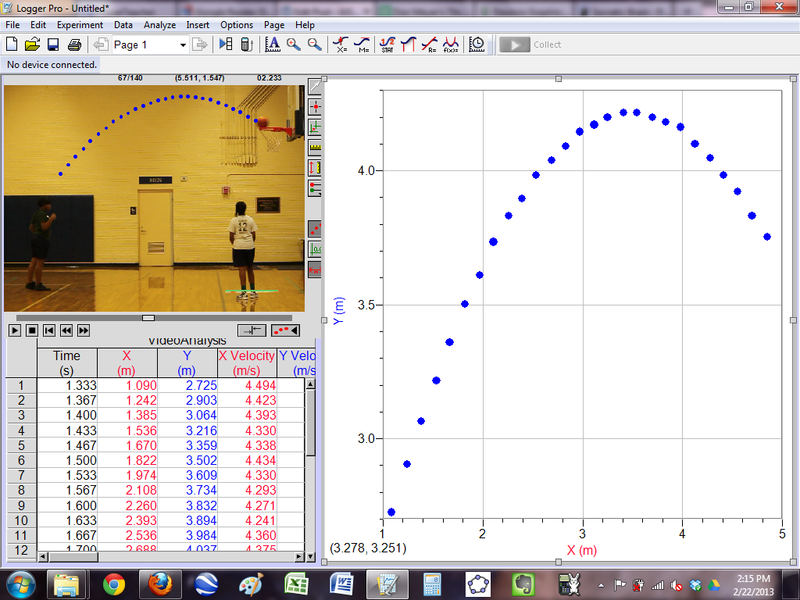 I think now it’s time to go back and find the equation of the original basketball shot we analyzed (BTW, I also teach these kids physics, so we’ve been studying why the ball behaves this way as well). When I started writing this blog post, it was going to be about a failure to stick to teaching with modeling. As I typed it though, I realized that this was still a modeling unit. The kids recognize that the shape of the basketball graph is a symmetrical curve. We just didn’t have the appropriate skills yet to write the equation for the curve. Now we do, so it’s time to complete the model. I’ll let you know how it goes! 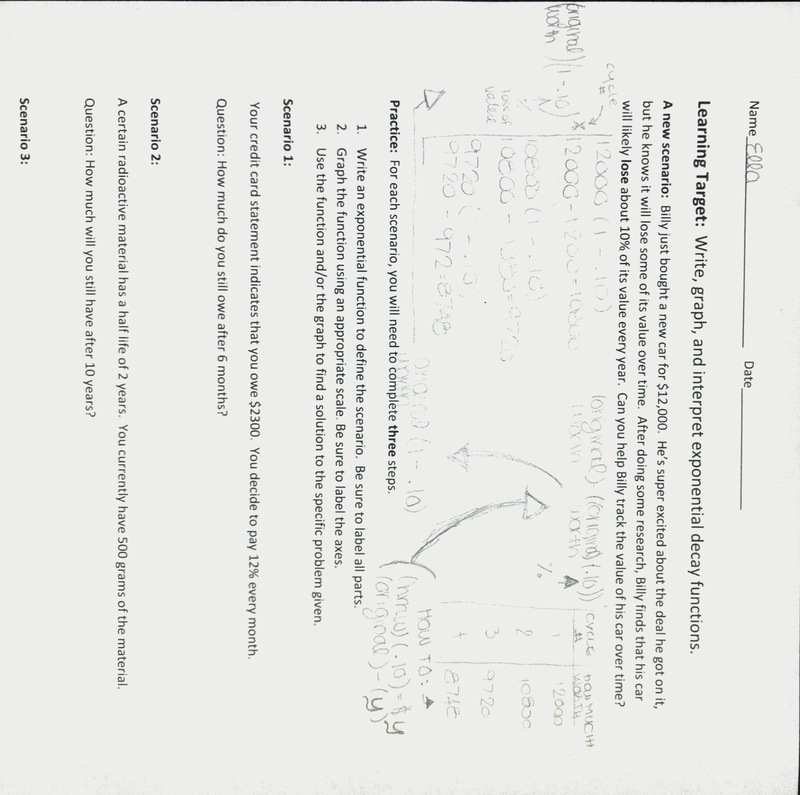 Step 1: Introduce the topic with some notes and some example problems. I used a PPT presentation to show the students the equation y = a*b^x and explain what all the parts mean. Then we looked at some example problems. Step 2: Explore the topic with an activity. We did the classic M&M’s activity to explore a “real world” example of exponential growth. Step 3: Practice. We used problems from the text, most of which did not have a context. Step 4: Assess. We had a test after about a week or so. Done. Step 3: Generalize it! We then discussed a general form for the equation. They needed to make a connection between the R-0 number from the video and the multiplier they used to generate their charts. As soon as I brought up the question, they noticed that it was just (1 + R). At this point, my head almost exploded from awesomeness. Now, they understood that the “multiplier” they used was given by one plus the growth rate. How did that happen?! I didn’t “teach” it to them!! So now they’ve got y = a * b^x, they know what the “b” means, and since we graphed each initial scenario, it was simple for them to see that “a” is the y-intercept. Step 4: Expand the generalization to new scenarios (exponential decay). We used this handout to figure out that if you are losing a certain percentage each cycle, then it’s just (1 – R) instead. Step 5: Practice. I gave them 3 or 4 scenarios of each type to practice. 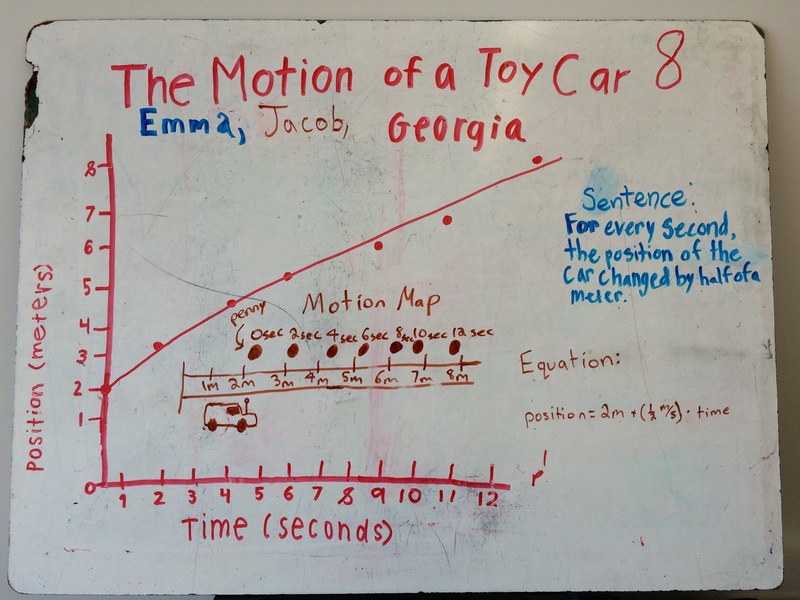 For each scenario, they made a chart and a graph (using Desmos or by hand). The answer to any questions asked was secondary to showing me that they could analyze the situation using the exponential model. Step 6: Assess. Two short multiple choice quizzes, some questions with contexts, some without. 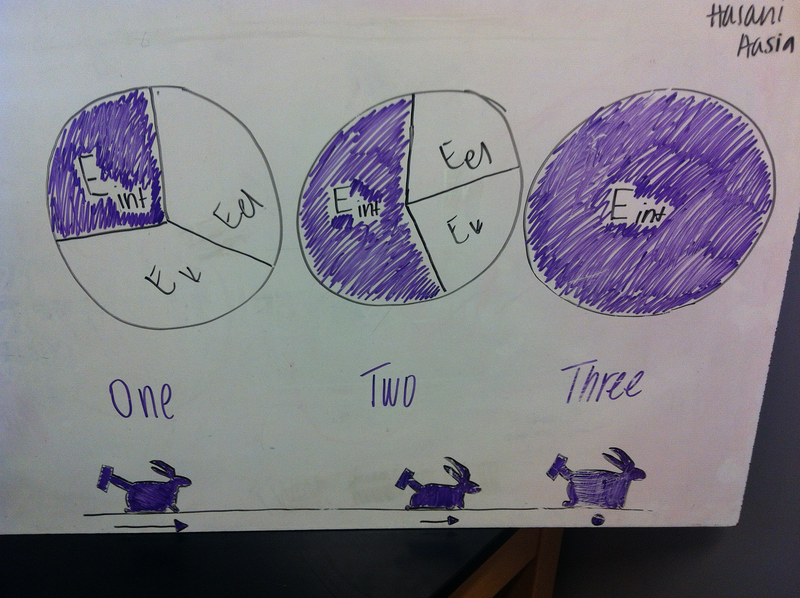 Then an open ended task in which they had to explain to me the differences between two functions. Retakes are available on all three assessments as needed. They also take the assessments when they are ready. Why is this new way better? 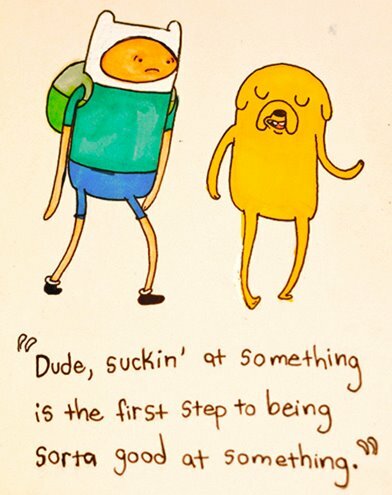 I have students now who are willing to try figuring things out on their own. They see that it can be done. Especially in Step 4, I saw a bunch of students working to find a function that defined an exponential decay scenario. They didn’t say “Mr. Owen, what’s the formula?” or “I don’t know how to do this because you didn’t teach us this yet.” Check out the example below. This girl decided that (hmw * .10) = y and that the next value in the table was given by (original amount – y). I just had to suggest using substitution to combine those two expressions. From there, it wasn’t too hard for her to see that to do that 10 times, you just raise the expression to the tenth power. I started the unit on systems of equations with this problem. It was awesome that they took to it so quickly. With very little help from me, each group came up with a testable solution to the problem. 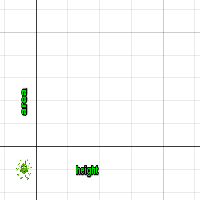 Some used the chart, some took it a step further and graphed the lines. “Interesting that they were able to come up with such specific solutions then” you might say. 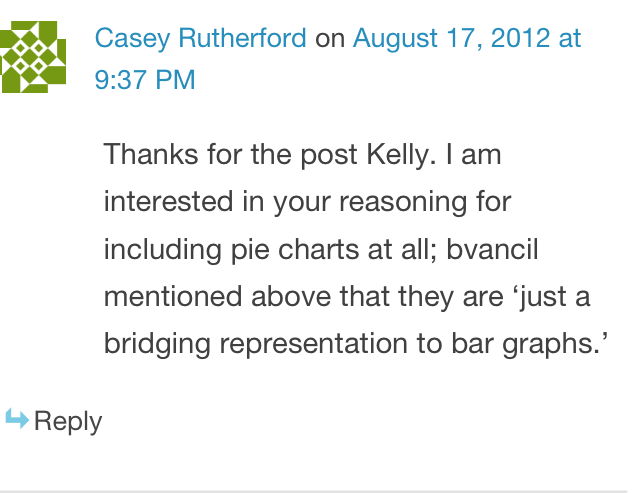 Well, what they did was approximate the solution with the graph or chart. Then some groups used guess and check to find the number, and some groups used technology to find the intersection (Desmos or TI-84). Next time, I need to make sure to let them test their solution with the actual cars. That was the plan, but I never went back and did it, d’oh! 1. Learn different techniques to solve a system of equations. Graphing first, then substitution, then elimination. 2. Practice those techniques on a bunch of problems. 3. Apply the techniques to a “real world” problem. 1. Students who understood the problem already and came up with a solution fairly quickly. These students should be allowed to use their class time for extending the problem into different contexts and doing whatever assessment I’ve planned for this skill so that they can move on or tutor other students. 2. Students who don’t really understand the problem or how to solve it. I think that the standard way of teaching this unit tries to cater to these kids. But this way is better for them too. First, they benefit from just watching a student (#1) solve the problem (as they work in groups to create the whiteboards). They also are (hopefully) intrinsically motivated to learn the skills because they see how they can be used to solve the problem. These students can use their class time learning the basic skills of using an equation to generate an input/output table, and then plotting those points to make a graph. Note: They were the ones that wrote those equations on the boards we started with. 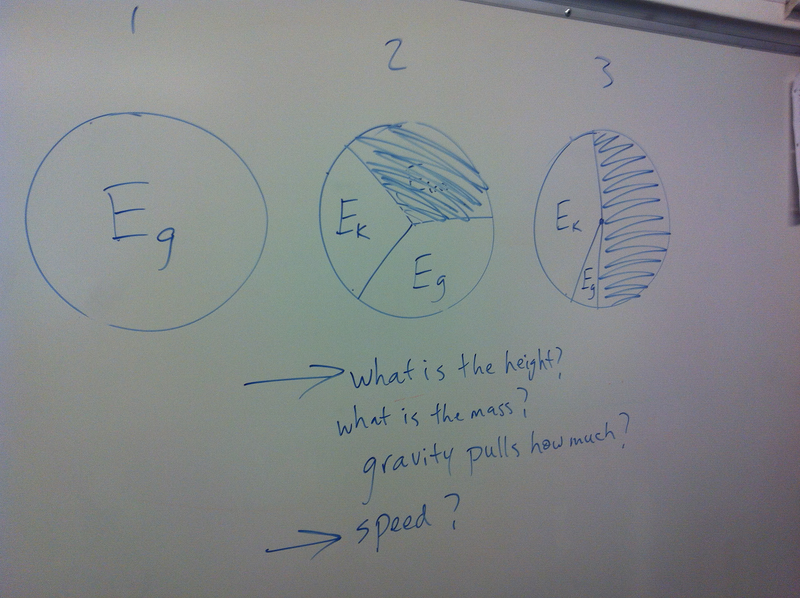 In physics class (also with me), they started with just the cars, some plastic markers, and some questions. The ladder of abstraction was climbed from there. Holy Moly!! I haven’t used that phrase in a while, but it seems to be making a comeback through the Math Twitterverse. I’m on board. It perfectly describes my thoughts after my first block classes Thursday and Friday this week. We used a new app from Riley Lark (the ActiveGrade dude) called ActivePrompt (which is apparently a working title, real name TBA) and it works like this. 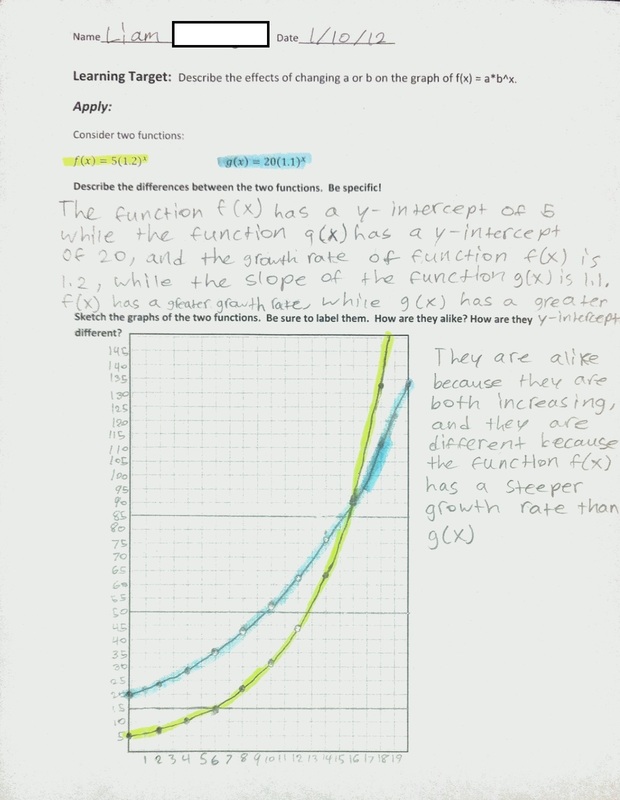 This video clip shows one student explaining the slope concept to another. He can’t do it without a starting point!! My favorite thing about this activity was that there were so few rules. Just make parallel lines. But they ended up having real discussions about how changing the slope or the y-intercept affects the way the graph looks. Our current learning targets are: “Graph an equation using the slope and y-intercept” and “Describe the effects of changing m or b on the graph of y=mx+b”. I could’ve had them watch me do a few examples (in class or in a video) and then practice similar problems. But it seems like that’s asking them to start with the method and end with the problem. Shouldn’t the method exist only because of the problem?? And yes, I know this one’s not “real world”, in the sense that it didn’t have a context like “the city planners need to make two parallel roads to connect blah blah blah”, but isn’t that context unnecessary here? As long as the problem comes before the solution, it shouldn’t matter how “real world” it is. Everyone was getting it. Not just the genius group that came up with the idea to write the equations first, but everyone. They all were engaged to some degree in the task and could see how the location of their individual dot was decided upon and how it fit with the other dots. 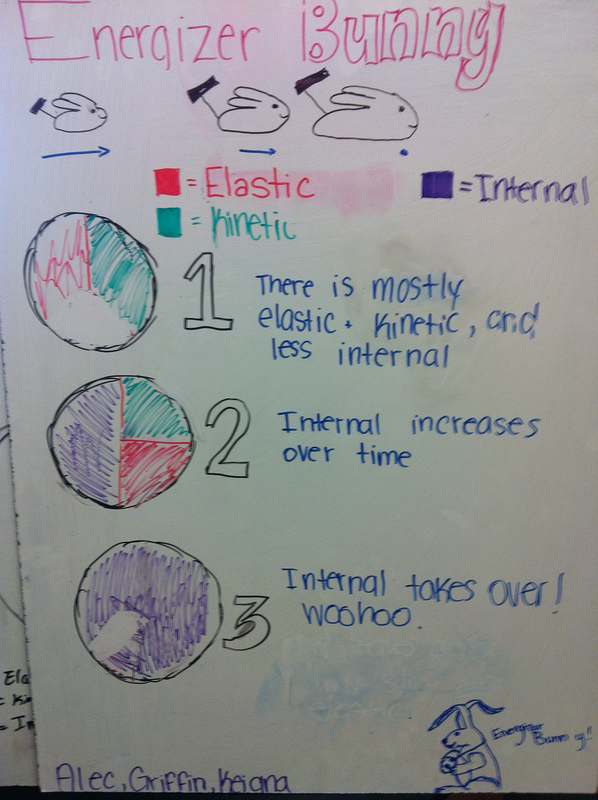 One student in particular had been struggling with graphing in a major way. I was kinda stuck on how to help her. But after participating in the activity, using a starting point and then going “up and over”, something clicked and she was able to see that the y-intercept was the starting point, and the slope was the “up and over”. Just telling her that wasn’t making her understand it, she had to do it. I used this Khan exercise as a quick formative assessment, and she got it right away. BAM!! One final thought: technology was integral to this activity. Without the laptops (or some other connected device), I wouldn’t have been able to use ActivePrompt. And the Khan exercise, while not essential, did make a great formative assessment (all my kids have accounts, so I can see how they did on the exercise instantly). For some other ways to use ActivePrompt, as described by the creator, check out this post on his blog.